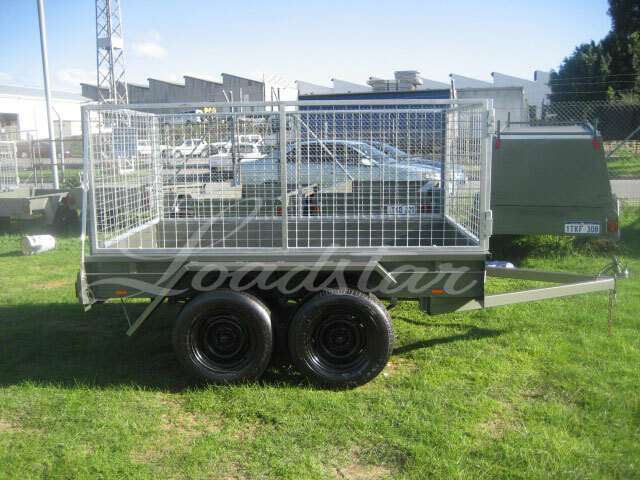 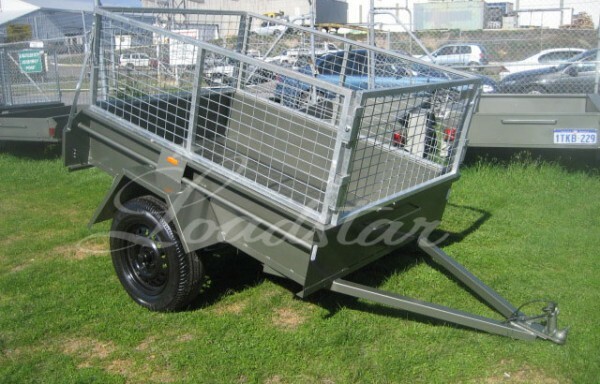 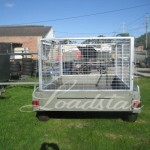 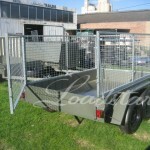 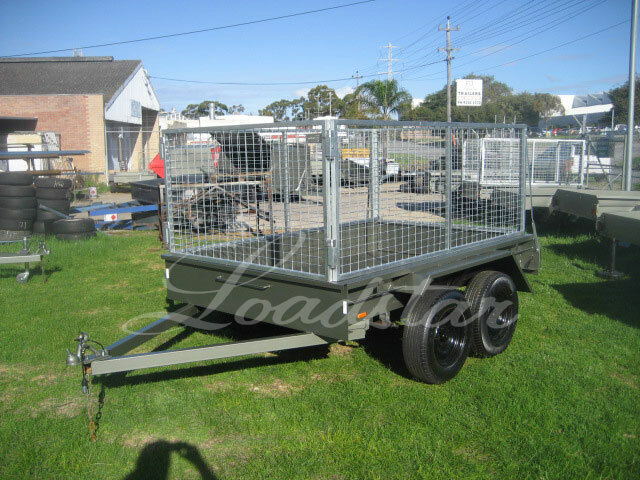 A heavy duty 8x5ft tandem trailer fitted with a 900mm galvanised cage. 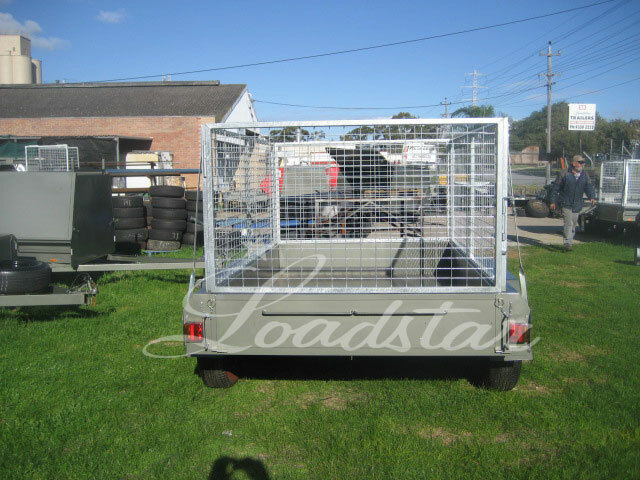 Has a 1.2m height from the base of the trailer to the top of the cage. 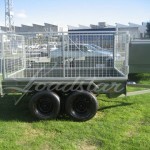 Cages are bolt-on bolt-off removeable. 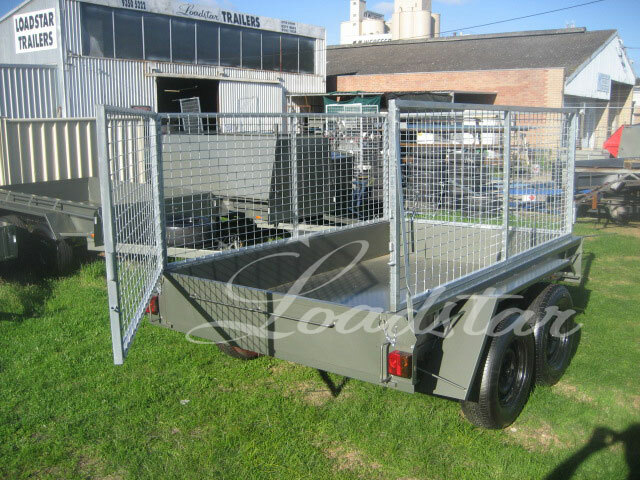 30 x 30 x 2mm RHS framed with 75 x 50 mesh. 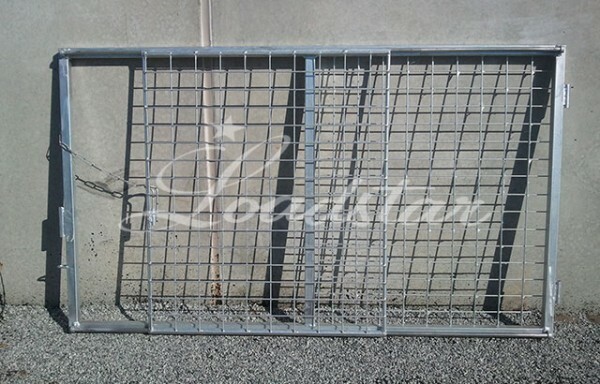 Cages come with a swing around back door and bolted on front to make the cage stronger.